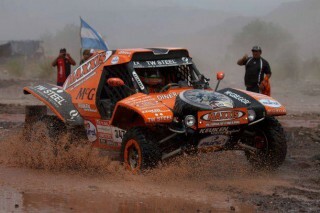 ‘The FIA and the ASO have worked remarkably quickly to get the new regulations in place for Dakar 2010. And the response from drivers, riders and potential sponsors has been extraordinary’ comments Alister McRae. ‘Firstly the Dakar-ready price of €65.000 makes sense right now, but it’s when people experience just how fast, fun and capable the car is that they decide they just must have one’. 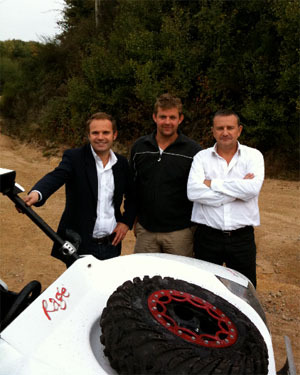 Innovative, fast but inexpensive, the single-seat machine comes with all navigational equipment and as such is ideal for the biker seeking to move onto four wheels; the young driver moving into FIA Baja and Cross Country events; or even the experienced Dakar driver seeking to remain competitive, have great fun, and finish – all on a tight budget.